In most industries, their topmost priorities include efficiency and safety in order for them to ensure that the entire machinery’s operation goes well. 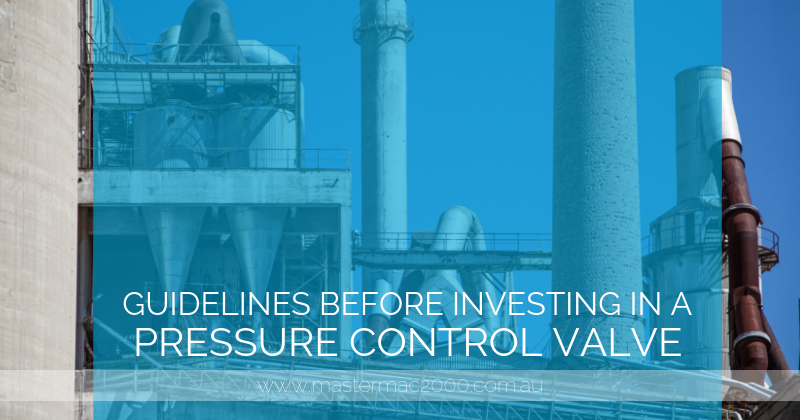 Close supervision and a lot of details are taken into consideration, which is why it is important to be well-informed and supported with regards to constantly maintaining and checking pressure relief valves in systems. To help you determine when the right time is to pick, install, operate, and maintain a pressure control valve, here are tips and guidelines that you should know. The role of pressure relief valves is to ensure efficiency and safety in your machinery’s flow control. Their two different types of devices include closing and non-reclosing. Some of your options include balanced bellows, power-actuated valves, pilot-operated safety relief valves, and Temperature and Pressure (T&P) safety relief valves. Know that what counts in controlling an equipment’s overall flow is compatibility, which ensures that all successfully contribute to the pressure and control level you want to achieve. In selecting valves, it is imperative that you follow some guidelines. Classifications of valves have been identified according to the pressure and applications of the flow of a machine. The sizes of the valves also have to be followed. To ensure the compliance with the authorities, standard applications ought to be followed as well. In addition, the safety of your workers should be another top priority during operations. Due to unmonitored flow systems, snags might occur. And if guidelines are not followed, operational opportunities will be missed. Keep in mind that if pressure systems are limited or not timely controlled, there will be upsets in the process. Another factor that will prevent your business from being productive and fully-efficient is equipment failure that may lead to accidents such as fire — this could put your property at risk of damage. Working with a provider is a practical way to fully monitor your system and avoid failures, given that they have the experience of seeing the complexities of operating within the engineering field. They ensure that your system will be accident-free with their extensive skills and years of practice. Also, such providers can do on-site tests, assemble for urgent cases, distribute efficient units, and repair within the fields of electronics, pressure, and safety. Contact Mastermac2000.com.au today to determine how a provider can further assist you to make sure that the equipment and the whole industrial system will be safe and efficient.